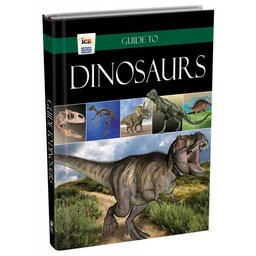 Some dinosaurs were big and some were small. And yes, it's true God made them all! 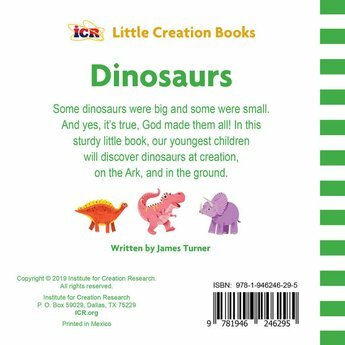 In this sturdy little book, our youngest children will discover dinosaurs at creation, on the Ark, and in the ground. 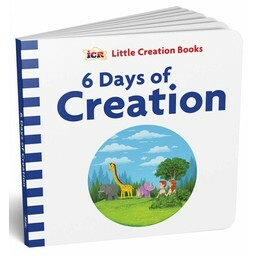 Dinosaurs explores some of God’s “very good” work on Day 6. 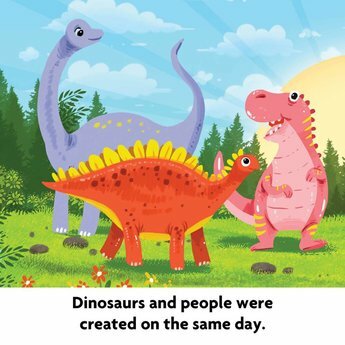 This sturdy little board book uses colorful pictures and simple words to help our youngest children discover dinosaurs at creation, on the Ark, and in the ground.